﻿ Hotel Lumbung Sari, Bali | FROM $14 - SAVE ON AGODA! "The place is clean enough for the value." 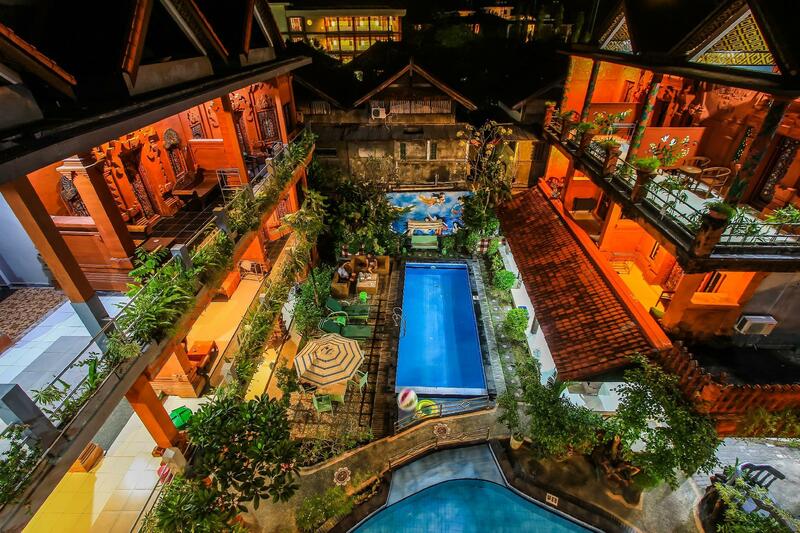 Have a question for Hotel Lumbung Sari? 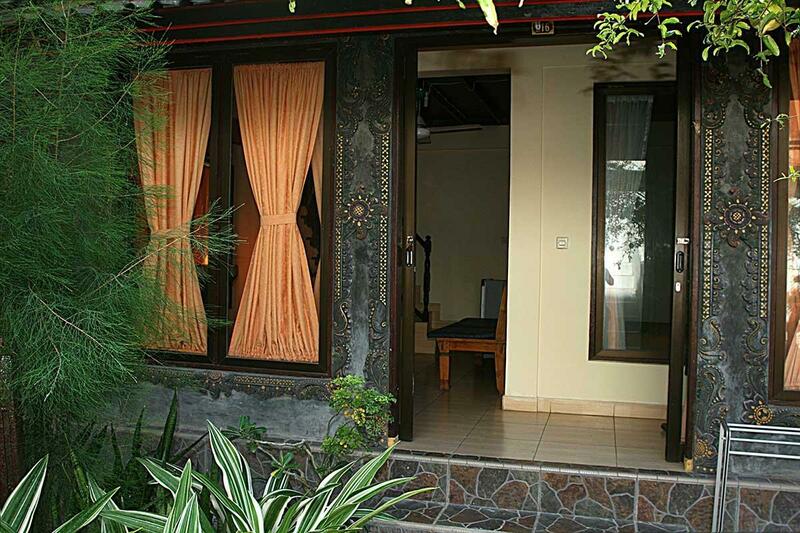 "The exterior and atmosphere is gorgeous authentic Bali." 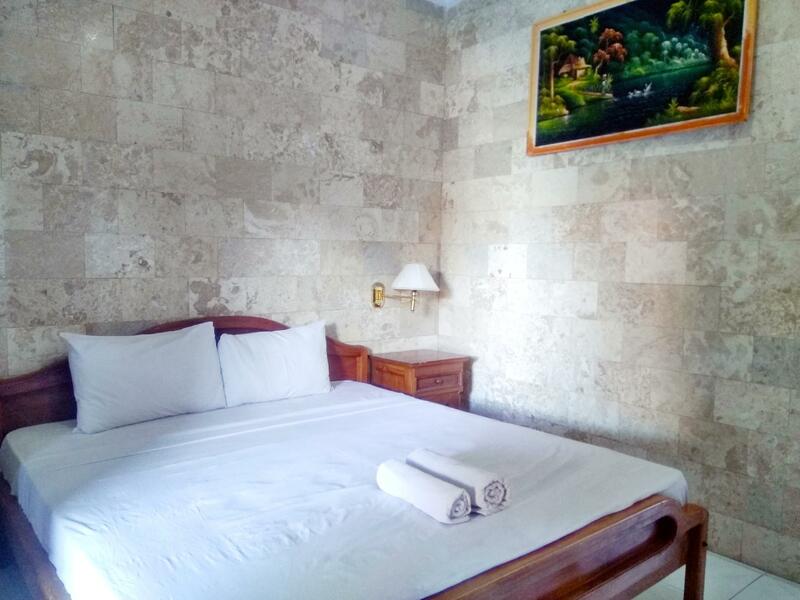 "Swimming pool, aircon and breakfast for a very good price :)"
"I was here for 9days, its cool place with great n kind emplo..."
Have the vacation you've always dreamed of at the Hotel Lumbung Sari. This hotel is near Ketut Art Shop 14, Pasar Seni UbadArt Market, Windy Sun Surf School, Alta Moda Fabric Store and Tailor, and Legian Beach. Offering guided tours, it is a great spot to stay to learn about the area and see everything you can during your stay. With the incredible massages available, you can spend a few hours treating yourself to some pampering. The Hotel Lumbung Sari offers various facilities for you to enjoy, such as a garden, a spa, and an outdoor swimming pool. 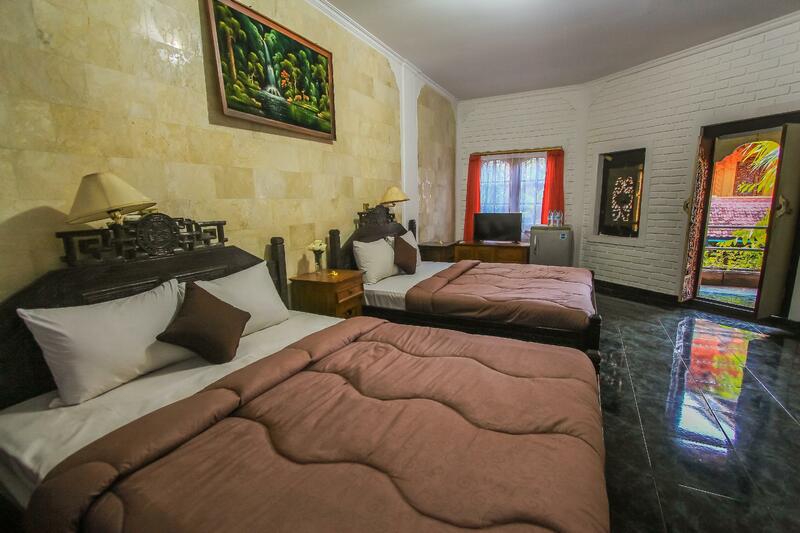 This Bali hotel features family rooms, so your family will have adequate space to be together. It is equipped with a kids club, keeping your children happy and entertained while you relax. The Hotel Lumbung Sari also provides a kids swimming pool, so you can be sure that the kids will stay entertained throughout your visit. It has several convenient features, such as a smoking area and safety deposit boxes. It features restaurants on the property, room service, and vending machines, so there is an assortment of dining and snacking choices. From a concierge to dry cleaning services, the Hotel Lumbung Sari provides numerous useful services that guests can take advantage of throughout their stay. There's free Wi-Fi available in all rooms, as well as Wi-Fi in common areas, so you don't have to spend money on a local sim card while on holiday. Providing around-the-clock front desk services, this hotel ensures that there is always a member of staff behind the desk to help you with any queries at any time. It has an assortment of transport options that include airport transfers, car rentals, bicycle rentals, shuttle services, and taxi services. Tegal Sari Bus Terminal is 6.4 km away and Bemo Gunung Agung Bus Terminal is 7.0 km away. The nearest airports are Ngurah Rai International Airport (DPS) and Lombok International Airport (LOP), which are situated 4.9 km and 120.1 km away. The Hotel Lumbung Sari provides an express check in and check out service, giving you the option to avoid waiting in slow-moving queues when preparing for your flight home. Check-in is offered from 01:00 PM and check-out is until 12:00 PM. "Great exterior and nice pool." Poor room,poor cleanliness,poor bathroom,poor breakfast and UNFRIENDLY staffs. Great exterior and nice pool. Bed was very hard. Very cheap. Get what you pay for. No mineral water, coffee or tea provided. Hotel hidden inside main road. No soap andtowels provided, need to ask. Breakfast just two toast with coffee and juice. No blanket provided. We paid for family room but when we arrived in the middle of the night, they said the room which one we already paid is full and they give us very small room for family, me and my husband also my kids are sleep 4 people in the quen bed and we only get 1 extra bed that cuz not have any space either in that room and they not change the room for the next day. They change our room in the last night we stay there. Leaking in the room, toilet is also leaking, wastafel is leaking, very dirty, for u know not have any cleaning svc for the room,they will cleaning the room after check out and even when u check in also is still dirty any way, tv was broken is very old tv and the refrigerator is only for show there cuz cannot use, is broken as well! After they had so many mistakes they not give back our money and not give any compliments for they fault. This is really crazy, don't ever bother for ask them cuz they staff is also bitchy n not friendly at all!!! When i arrive 23h i can't check in no receptionnist only security gard, he told me the hotel is full, so they over booking the hotel ... I try to call the manager he never answer. I have to find an other place at 23h30 ... the days after i come back after long negociation they give me back my money but i loose the taxe from agoda... I don't know how is the hotel but isn't the way to manager an hotel! I got a last minute deal on this hotel so it was good value for my 3 night stay although a short stay was enough. The room had clearly been refurbished so it was a pity that some of the walls were mouldy. TV was great, hottest water in the shower I've had in Bali, but couldn't get on to the wifi at all. Good location for the beach and quiet at night. 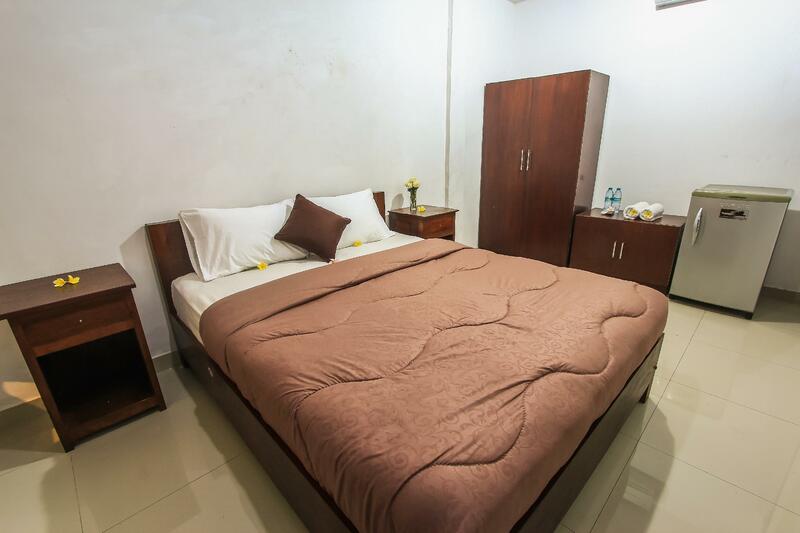 Great budget hotel, nothing flash but good for the price. Staff are very friendly and helpful Hotel could do with a bit of paint but then I guess the price would reflect that. The place is clean enough for the value. Nice pool. Nice view from the balcony. It has a nice atmosphere. Internet is not good and it mostly work outside of the room in the balcony area. Neighborhood is nice, bars, and restaurants around. Looks lovely on outside but internal photos deceptive. Rooms very dated and bathrooms dirty and run down. Staff friendly. Quiet. Friendly staff. Bathrooms need good dose of bleach. Had a lovely time here. Felt safe travelling solo. Value for money.Only negative was construction noise from 8am til late afternoon! Ends 21st April so I'm told.